It’s like having have the financial world run by childish adults who just won’t stop playing with economic matches until the whole house burns down. During the subprime crisis, everyone at every link in that thoroughly debased chain, from the Wall St. derivative packagers all the way down the Las Vegas cab drivers lying about their income and buying 2-3 new zero-down “investment properties” per year, performed the same ‘reality’ check. They looked to their left. They looked to their right. Everybody else seemed to be doing it. It seemed to be working. So they decided it must be okay. And it was, until it suddenly wasn’t, and the entire market collapsed. World central bankers are Las Vegas cab drivers getting endless liar-loan mortgages, raft upon raft of debt that can never be paid back, but so long as markets will keep buying the delusion and their world cohorts keep toeing the party line, they will not stop until it is too late and the free market, as it always eventually does, imposes its will on human folly. Central bankers are hitting their limits. They don’t want you to know how ineffective dark money policies have been for real economic growth. 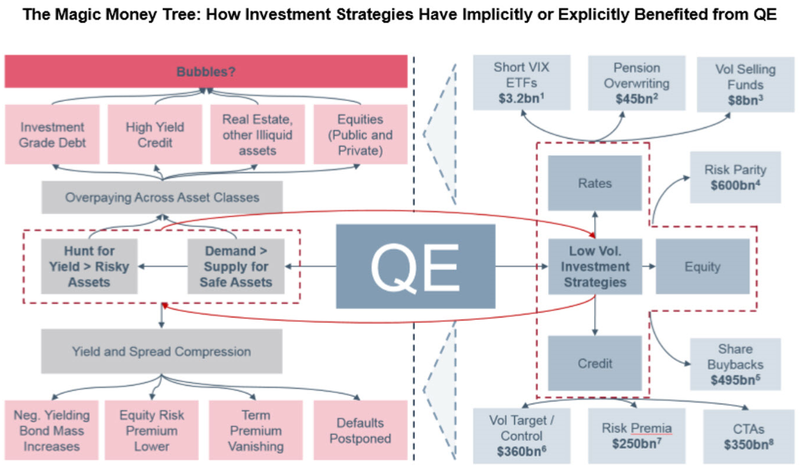 If the Fed rate hike today teaches us anything, it’s that Jerome Powell will eventually embrace the same unlimited easy money policy on any sign of market weakness, while the global web of central banks remain as omnipresent as ever.